There are some dishes we recall from a very young age. Things our Mothers cooked for us, for example. 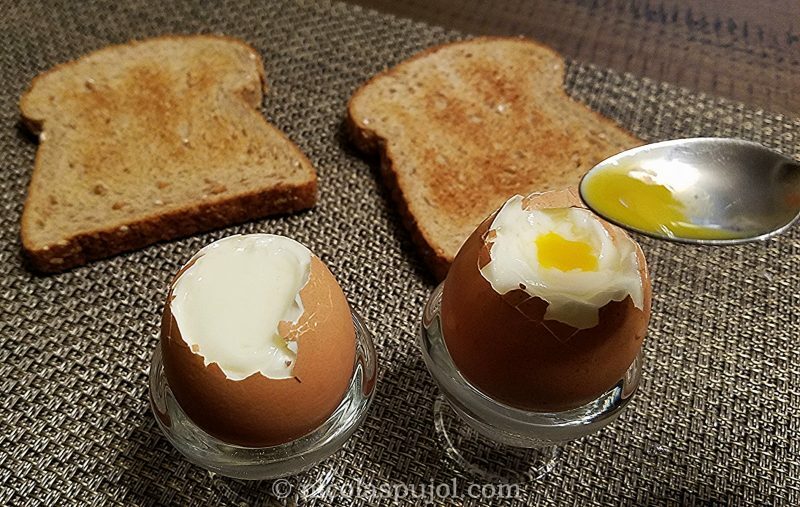 I grew up in France and one of these dishes is the soft-boiled eggs, in French “œufs à la coque”. 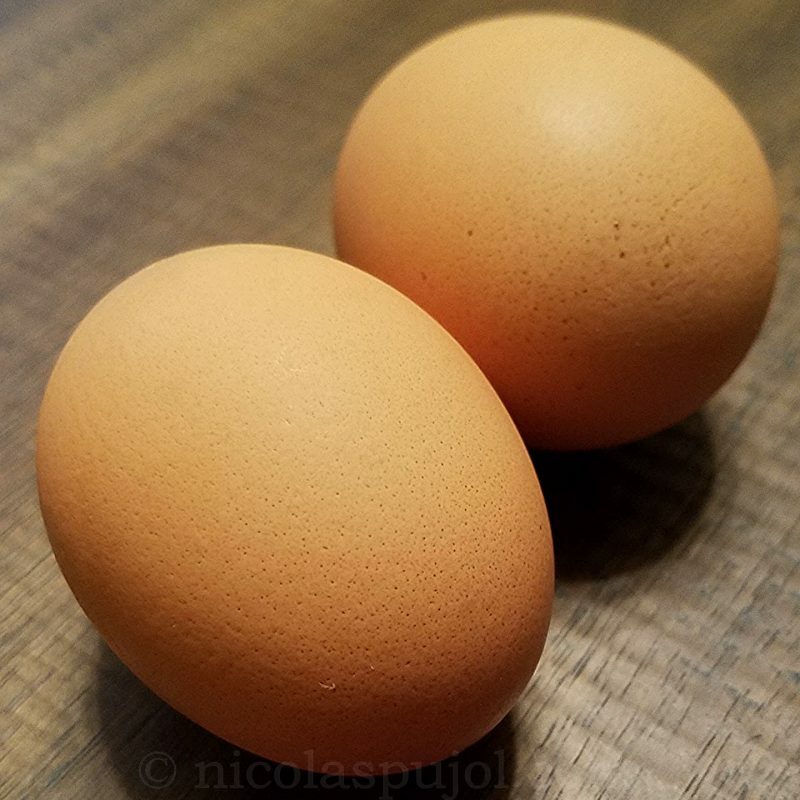 Egg in French is œuf, pronounced like “puff” without the p.
It’s extremely simple to make if you know your timing and technique, and it can be a main source of protein for a small kid’s lunch, my case back then, or a side dish for an adult. French kids eat “les oeufs à la coque”. This translates literally as “soft-boiled eggs on the shell” all the time, typically with a piece of bread. You can dip the bread into the runny egg yolk. Watch out for the first dips as the contents are likely to overflow. 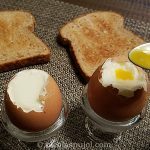 You can use a small spoon, a tiny spoon in the photos for this recipe, and use it to pour some egg white and yolk on the bread or the food you are eating it with (e.g. brown rice). 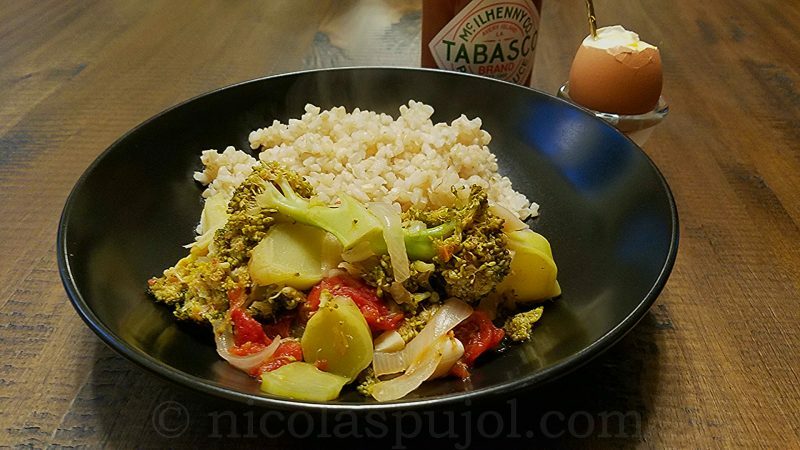 One way to rate the success of this dish is checking what should be hard, and what should be soft. The yolk should never be hard. Otherwise, it’s not soft boiled. There will be no liquid left in that case. The white should never be completely liquid or transparent. It wouldn’t be cooked at all, and this would only yield a warm raw egg. Now we covered the two no-no’s of French-style soft boiled eggs on the shell, the rest becomes a matter of taste. 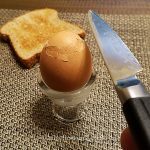 Before the recipe, one last thing, a very important thing that anyone making soft boiled eggs or eating them in the company of others should know. French kids love to trick other kids or adults by taking the empty shell and turning it upside down. 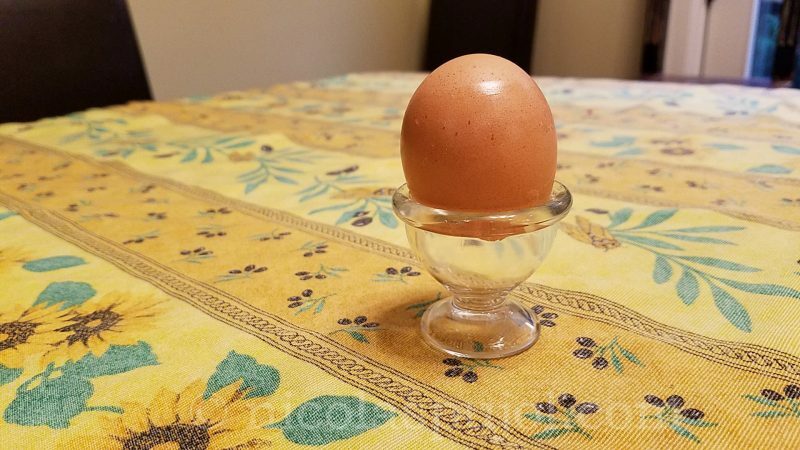 The egg looks perfect and ready to consume. Hey Dad, here is your soft-boiled egg! Bring a small pan to a boil. 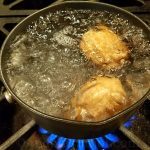 The water level should be high enough to fully cover the eggs once in. 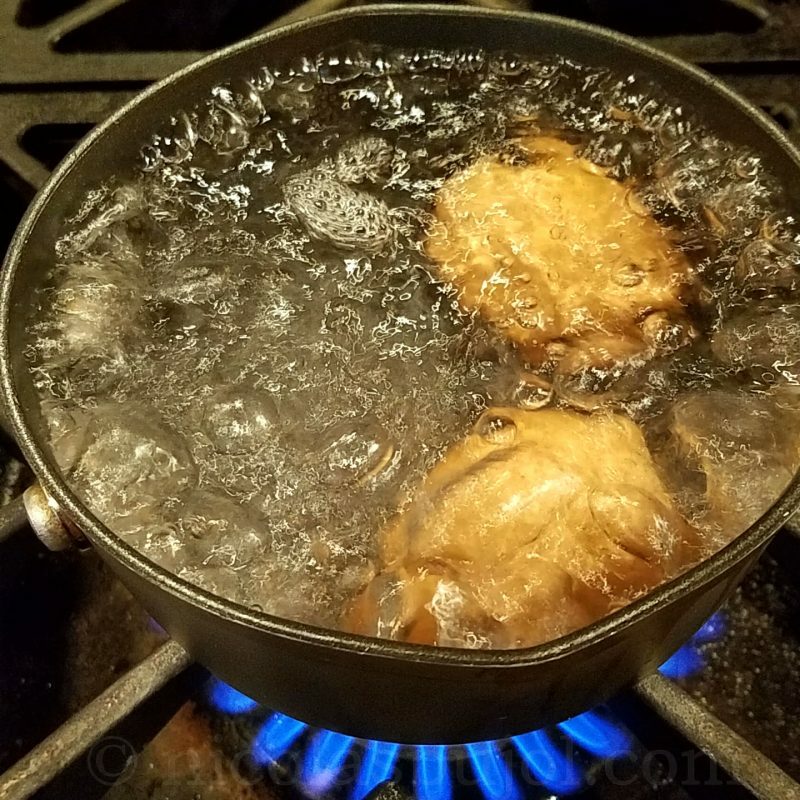 Take the eggs out of the fridge and using a large spoon, gently place them in the boiling water. Avoid any shock that could break them open. Let them cook on medium heat for 4 minutes. 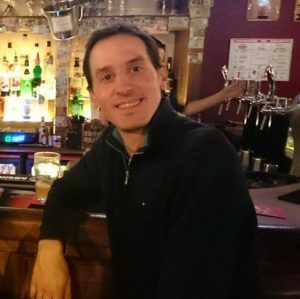 Consult recipe story and notes for variables that can change the target cooking time. 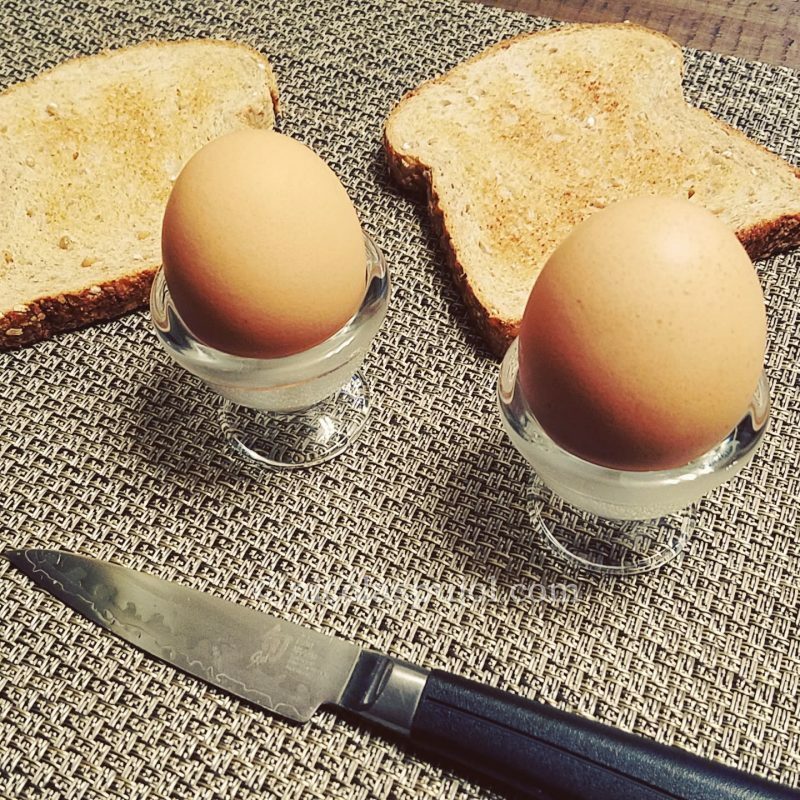 Using the same large spoon, take the eggs out of the pan and place them in the egg cups. Break the top part of the shell with a knife, hitting around the shell in circle, then poke through the egg and remove the shell cap. Add hot sauce, or salt and/or pepper, and eat immediately. Changes from these assumptions will impact how fast your eggs cook. Smaller eggs cook faster, and so do those coming in at room temperature. High altitude makes water boil at a lower temperature, requiring longer cook times.